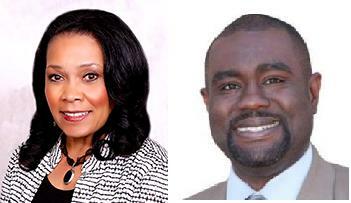 San Diego City Council runoff election boils down to a question of the character of the two candidates. Today is election day for the San Diego City Council District 4 special election. It has been quite a wild ride, particularly since Myrtle Cole stormed to the top of a very crowded primary field. The favorite from the get-go, Dwayne Crenshaw, the longtime San Diego politico and a familiar face in City Hall circles, finished a surprisingly distant second, but due to the sheer number of candidates in the primary field, Cole still managed to finish with less than 50%+1 of the vote, triggering today’s runoff. Both candidates are highly qualified for the office. Both candidates are likely to side strongly with the Democratic bloc of the City Council, and both candidates are likely to be more supportive of Mayor Bob Filner’s agenda than some of the more “centrist” current Democratic members of the City Council. I know, I know…..the San Diego City Council is officially supposed to be non-partisan, but that’s not the reality, and the fact that today’s special election will restore a one vote majority to the Democrats on the council is significant. But that’s not the issue here. The real issue is one of character. Character matters. In fact, I would argue that character is the one thing that matters most when voters choose their elected representatives to government. If we can’t trust our elected officials to hold true to their word and to work in the best interests of the communities who hired them in the first place, then we cannot trust our government, period. The District 4 race started off nasty to begin with. First there was the Voice and Viewpoint’s homophobic and incendiary editorial critique of Crenshaw. Nothing very “Christian” about that. Then there were accusations that Cole was somewhat of a faux candidate, with a ridiculous mailer sent to district voters by a mysterious conservative PAC, in the form of a document with what looked to be the official seal of the City of San Diego, leading recipients to believe that this mailer came directly from city officials. It didn’t, and it was full of lies, including that Cole had only recently moved to the community before deciding to run for public office, and that she was responsible for $10,000 in ethics violations, a charge that the Voice of San Diego called “huckster propaganda” (i.e. an outright lie). For an election that had a very low turnout for the primary (20%) and is expected to see the same or less for the runoff, there has been a ton of money spent on this race (comparatively). According to the VOSD’s accounting, the San Diego and Imperial Counties Labor Council has spent $213,000 in championing Cole, while the Republican Lincoln Club has responded by tossing $82,000 in aid to Dwayne Crenshaw (there are no Republicans in the race, but anyone supported by Labor must be the mortal enemy, right?). Crenshaw and Cole have raised $128,000 and $66,000 for the race respectively. That’s a lot of money for a low turnout city council special election. It’s also demonstrative of what many view is at stake in this election. So the stakeholders have been defined. The analyses of the candidates have been done through some very good reporting by City Beat, the Voice of San Diego, and our own Doug Porter. On the issues there really doesn’t seem to be much difference between the candidates, other than it is assumed that Cole will be a more reliable supporter of Mayor Filner’s agenda. But is that enough of a reason to vote for her? More troubling to me, though, is that original question of character. Initially, we had little reason to question the character of either candidate (unless you subscribe to the Voice and Viewpoint’s way of thinking—that being gay is an automatic disqualifier). Recently, though, that changed. Dwayne Crenshaw has run a more or less positive campaign. Is he the perfect candidate? No, of course not. No one is. He and his campaign, though, have managed to steer clear of any major controversy directly involving them. We can no longer say the same about Myrtle Cole and her campaign. She recently sent out a mailer that directly smears Crenshaw with information that, if true, would certainly be damning for Mr. Crenshaw. In the mailer, Cole’s campaign cites as exhibit one a 20 year old arrest where Crenshaw was allegedly cited for attempting to buy crack cocaine. The clear implication is that Crenshaw is a druggie and thus not up to the standards of representing a significant portion of San Diego on the City Council. We don’t elect drug addicts here, so you should vote for Myrtle Cole. The problem is that this accusation was completely debunked 10 years ago in a previous run for the City Council by Crenshaw. Crenshaw said he was there to try and rescue a friend, to tear him away from a crack house. The mailer says “Everyone found outside a crack house at 3:30am says they’re there for a friend and not for themselves.” It quotes the arresting officer as saying that Crenshaw was just making up the story. He was there to buy drugs too. Political consultant Larry Remer was responsible for the attack in 2002, and he is responsible for pulling it out and reusing it today as a consultant for Cole’s campaign. The accusation is false and inflammatory, and Remer (and Cole) knows it. But he doesn’t care. Politics, after all, is a contact sport. What’s a few little falsehoods between “friends?” All’s fair in the name of winning the election. The squeamish need not participate. This is not the first time that I’ve called Remer out for being something less than scrupulous. And it likely won’t be the last. But more importantly is this: You can tell a lot about a political candidate by the people he or she surrounds him or herself with to run their campaign. If this is the kind of people Cole surrounds herself with, and if these are the kinds of tactics she uses, is she really the right person to represent the voters of District 4? As a candidate and head of the campaign, Cole is ultimately responsible for the actions of her campaign staff and consultants. Their actions on her behalf are assumed to have her explicit approval, and if they don’t, she has a responsibility say so quickly, forcefully. She has not done that in this case. The Lincoln Club’s endorsement of Crenshaw gives me a great deal of pause, but the issue comes down to this: Can Myrtle Cole be trusted by the voters of District 4? This election has boiled down in the waning days to a contest of character. The actions of Cole and her campaign in recent weeks have demonstrated that this is an area where she is left lacking. Myrtle Cole made one huge mistake. She seems like a strong liberal and is otherwise a very smart woman and a good candidate, but this mistake should disqualify her this time around. She can run again next time. Hopefully she’ll have learned her lesson by then. In the meantime, Dwayne Crenshaw is the choice to represent District 4. So, is this the official endorsement of San Diego Free Press, or Andy Cohen’s? It’s only got my name on it, and is not represented to be anything beyond that. “We can no longer say the same about Myrtle Cole and her campaign.”? While I’m not endorsing Myrtle’s mailing, I certainly can’t support anybody who appears to be beholden to the Lincoln Club. Whoa, Andy, you’ve tripped a wire or two or three here. I started out agreeing with you about the character thing, but on second thought, “character” is tough to define and seems to come down to an idiosyncratic personal judgement. What bothers you might not faze me. Then you suggest a political candidate’s worth can be measured by the choice of campaign consultant — Remer over Shepard over Tierney over Crotty? — now that’s crazy! They (probably) are all God’s children, but they are majorly flawed creatures by definition of their life-work. Scalawags at best. Finally, you go to endorsements for the litmus test: Voice & Viewpoint vs. Lincoln Club. Are you serious? Surely there must be some better criterion for making this choice. I know: let’s just let the voters of District 4 decide it without us. Can we make distinctions without being polemical? Andy raises valid questions. Do we not judge the judgment of others by the friends they keep (or campaign consultants they hire?) Certainly, and Remer’s reputation preceeds him, but the others all have mixed resumes. Last minute hit pieces are part of our campaign experience because they seem to work and they are often done. Grounds for disqualitying after just one strike? Not for me. And while any piece with a byline I read as the opinion of the writer, Andy’s choice of words such as “Dwayne Crenshaw is the choice to represent District 4.” could be read as an editorial endorsement. So dock Andy a day’s pay and let’s accept his reason for endorsing his choice. As for me, I don’t live in the 4th District so my opinion doesn’t count. Francis is right, in the end the only poll that counts is the poll of voters. Dang, JEC, spell my first name right: Francis was my father.